After goulash, the golden-hued chicken paprikash is definitely the most well-known culinary creation of Hungary: the creamy classic is so famous that it even got a mention in two of the past centuries’ biggest pop-cultural phenomena: it was what Jonathan Harker dined on in Bram Stoker’s Dracula, and what Benjamin Sisko cooked for his son in Star Trek! Now it’s your turn to taste the beloved dish, at one of the eleven venues we’ve gathered together. Our first stop on our chicken paprikash adventure, Barack & Szilva (no, there’s no connection to the former US president, the name simply translates to Peach & Plum) is situated on the edge of the Party District, on the ground floor of an indented building. 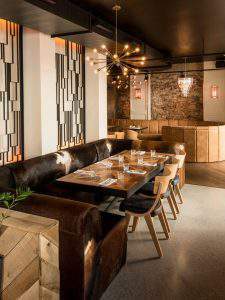 The husband-and-wife-run bistro offers flavourful Hungarian classics, alongside a smart selection of French, Italian and Jewish dishes, mirroring the diverse and colourful composition of the neighbourhood. Whether you decide to consume your hearty chicken paprikash inside the cosy restaurant, or outside in the shade of their summer terrace, the staff of Barack & Szilva will make sure that all your senses are satisfied – your sense of sound included! If you’re looking for a truly authentic gastronomic experience during your stay in Budapest, Magyar QTR restaurant should definitely be on your list! 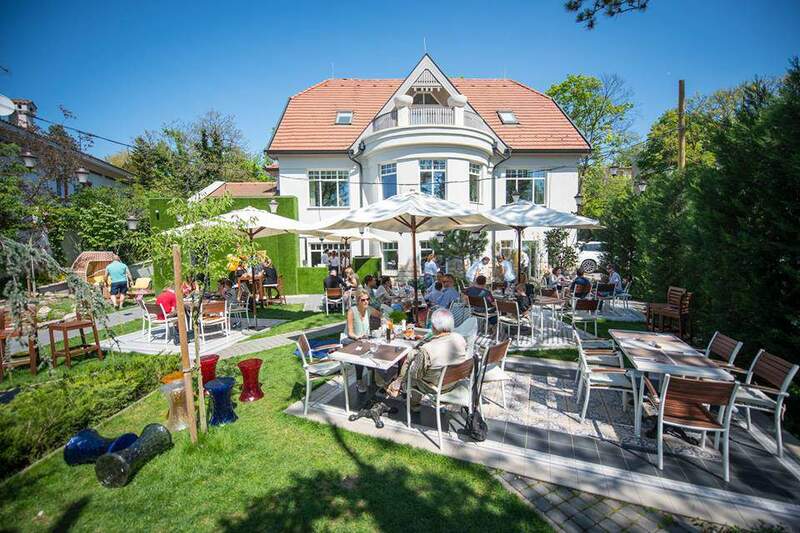 Located right next to the gently flowing Danube, this prestigious place presents the flavours of the simple Hungarian cooking in a luxurious manner. With more than 70 different kinds of local artisan wine brands, a huge selection of the famous, traditionally made fruit spirits (known as pálinka) and a series of brilliant dishes, including one of the city’s best chicken paprikash, Magyar QTR will sweep you off your feet! Visit the riverside venue and enjoy the great atmosphere completed by a gorgeous panorama of the beautiful Gellért Hill, while stuffing your belly full with meticulously prepared dishes and sipping on the best Hungarian potions. 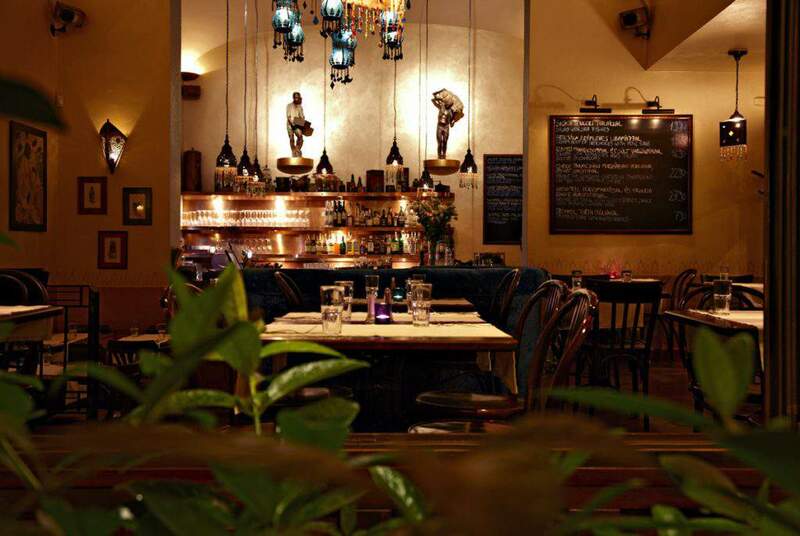 Situated on Nagymező utca, also known as the Pest Broadway, Két Szerecsen Bistro blends trendy simplicity with classy sophistication, and North African ornaments with Spanish flavours. 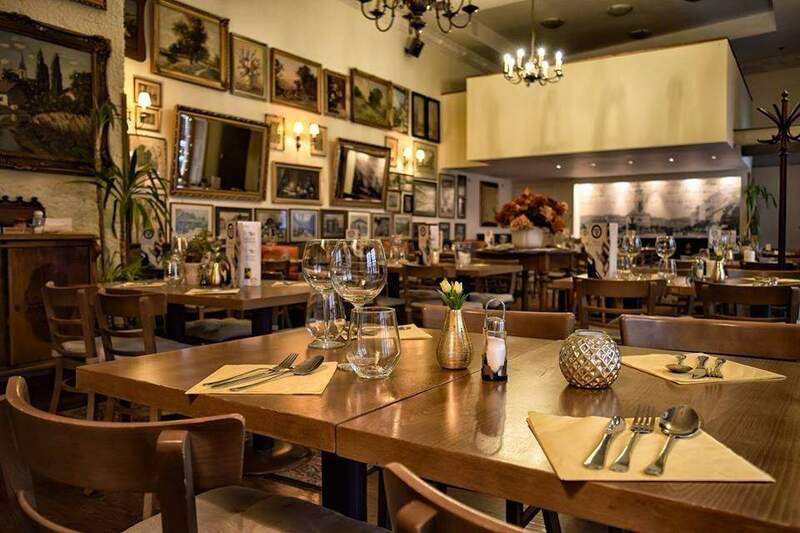 This ageless café/restaurant boasts an intimate atmosphere reminiscent of Parisian bistros, a wonderful array of Mediterranean dishes, and a neatly assorted collection of traditional Hungarian meals, accompanied by an extensive wine list and heavenly pick-me-ups. Besides being one of downtown Budapest’s best breakfast eateries, Két Szerecsen is also a great place to have a nice and filling lunch or a romantic dinner date. Their chicken paprikash, garnished with parsley dumplings and cucumber salad with sour cream, is packed with nostalgic aromas – just like the restaurant itself! 1065 Budapest, Nagymező utca 14. Opened last year, Ramazuri Bistronomy is one for the gastro-tourists. Situated in the historic setting of the Buda Castle, this culinary newcomer offers guests a toned-down contemporary ambience inside, and a friendly summer terrace outside, both perfect places to munch on Ramazuri’s inventive and dazzling fine dining bistro dishes. The tight-lipped menu draws inspiration from the latest kitchen technologies, the hottest trends in gastronomy, the most exquisite international flavours, and the most beloved Hungarian classics, ranging from chicken paprikash to Hungarian sponge cake. In case you’d rather get fed up with something other than the venerable buildings of the famous neighbourhood, Buda Castle’s Ramazuri will make sure that your wish will be granted! 1014 Budapest, Úri utca 30. 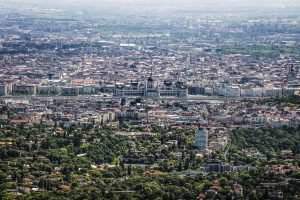 Nested in downtown Budapest, located just a stone’s throw away from St. Stephen’s Basilica, one of the must-visit gastronomic spots of the Hungarian capital has been around for quite a while now. 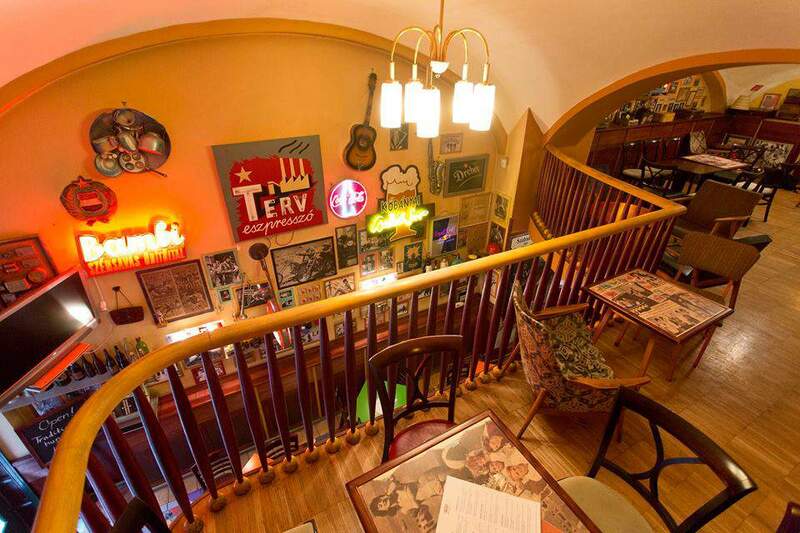 The history of this much acclaimed, friendly place draws back to the gloomy days of mid-century Hungary: it was first opened in 1954, then soon became one of the favourite hangouts of local artists and writers. Nowadays, the charming joint keeps dazzling its guests with authentic Hungarian dishes and memorable flavours you simply can’t miss out on. 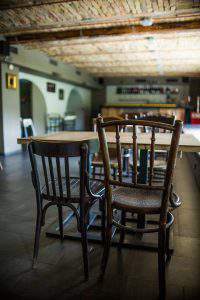 Visit Terv Presszó to taste the marvelous chicken paprikash served with homemade dumplings, and enjoy each and every bite while admiring the retro feeling that envelopes every square inch of the venue! 1051 Budapest, Nádor utca 19. 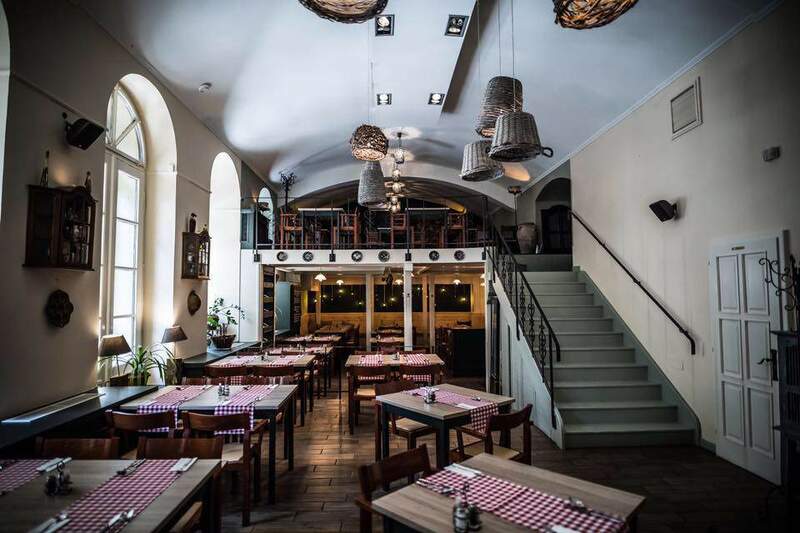 Found within a two-minute distance from the Opera House, overlooking the dome of St. Stephen’s Basilica, Pörc & Prézli is a modern Hungarian trattoria, where the focus is on all things meat, greaves, and breadcrumbs. Led by Chef István Kristóf, Pörc & Prézli’s kitchen pays special attention to the ingredients used, obtaining them from small producers. Instead of reinventing every other classic Hungarian dish, they simply make sure to procure the finest available ingredients on the market, and prepare the meals following age-old, well-established recipes. 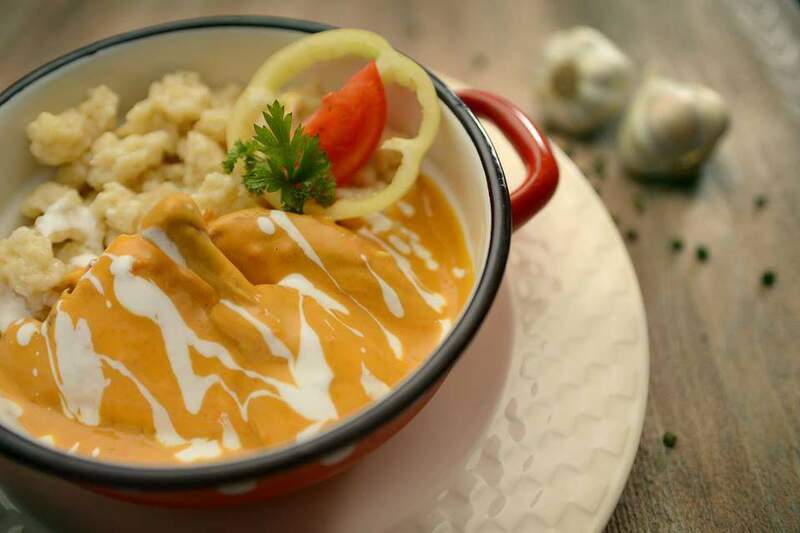 Their huge portions, including their creamy chicken paprikash (served with buttered noodles and sour cream), are accompanied by live music in the second half of the week, as well as a flavourful list of craft beers from Szent András Brewery to help make your culinary experience complete. 1065 Budapest, Lázár utca 1. 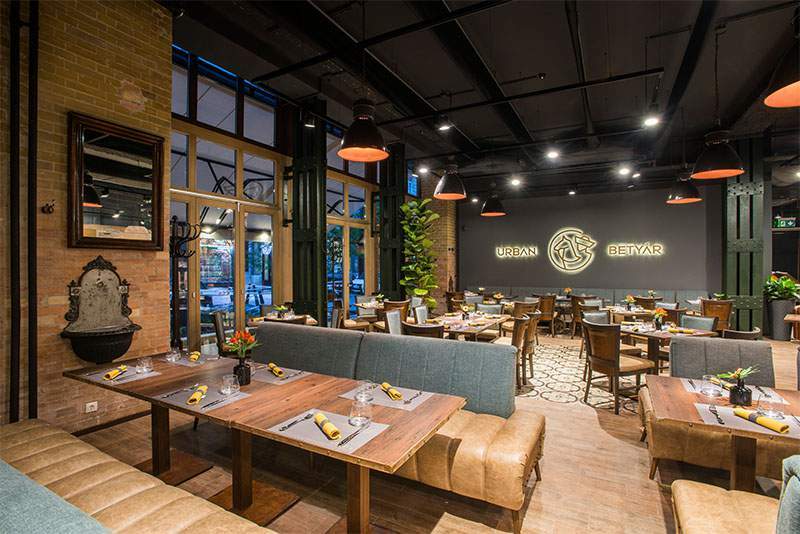 Situated inside a beautiful art nouveau apartment building, Urban Betyár brings the essence of the Hungarian countryside to the heart of Hungary’s capital. Besides featuring an extensive list of traditional Magyar meals, the downtown cultural complex also boasts an enormous collection of relics from Hungarian folklore, ranging from ornate household objects to holographic projections depicting everyday tasks such as husking corn. Once you’re done with the informative and rich exhibition, the spacious restaurant awaits you with an authentic wine and dine experience, completed with a show kitchen. 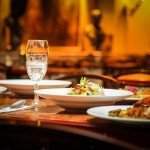 The menu includes a nice selection of steaks, foie gras cake with green apple, and smooth chicken paprikash, among many other Hungarian and international fusion dishes. If you’re searching for a place where you can not only taste, but see and learn about the traditional side of Hungarian culture, look no further than Urban Betyár. 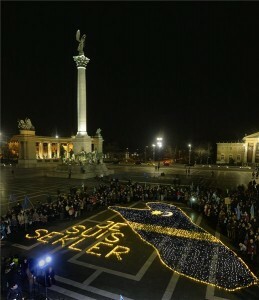 1051 Budapest, Október 6. utca 16-18. As its name suggests, at downtown’s Aszú Restaurant, everything revolves around the pride of Tokaj, Hungary’s most treasured wine specialty. The ornate, vaulted interior, complete with a mirrored wall and handcrafted wooden carvings, provides guests with a striking backdrop for their culinary exploits, but Aszú’s long summer terrace is also a great choice. 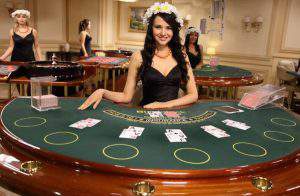 The restaurant’s cooking puts the emphasis on beloved Hungarian dishes, updated in accordance with 21th century tastes. From Hortobágyi meat pancakes to goose liver cream with aszú jelly and grape salad, Aszú Restaurant presents our taste buds with a wide variety of flavours. 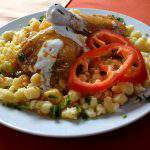 Their chicken paprikash is prepared from chicken breast, and instead of simply garnishing it with noodles, they serve it with cottage cheese dumplings, cottage cheese mousse and cucumbers. Located in a century-old villa in Buda’s greenbelt, Émile combines the quality and refinement of Gerbeaud and Onyx. Whether you drop by with your business associates, family or friends, the professional and enthusiastic team of Émile will have a solution for you: the ground floor restaurant will guide you through the world of fine dining with the help of mouth-watering dishes like the green pea soup with mint crisps, the Émile burger, and the chicken paprikash; meanwhile, the gallery gives home to a uniquely furnished café where you can spend your breakfast or drink your cup of afternoon tea, while the gorgeous garden (complete with cabanas) is the perfect spot for enjoying the chirping of birds and a glass of delicious cocktail. Right next to the famous Gundel Restaurant, Bagolyvár (“Owl Castle”) has been awaiting guests inside its Transylvania-inspired wooden edifice since 1913: that’s when the legendary restaurateur Károly Gundel opened the time-honoured establishment, intended for the visitors of the Budapest Zoo. The homely venue boasts an astonishing assortment of traditional dishes, flavoured with the memories of happy Sunday lunches spent at your grandma’s house. The menu includes fish dishes like pike-perch with tomato cabbage and fisherman’s soup á la Baja, as well as a range of meat-centred eats, like the lamb knuckle with mint potatoes, the breaded pork filet with mashed potatoes, and the heavenly chicken paprikash, served with homemade noodles. 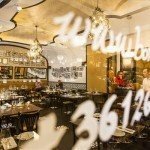 This classy gastro-pub is one of the less talked-about treasures of restaurant-dotted Ráday utca: Café Delion Bistro was born as a collaborative effort between Kálvin Gastro Bistro and Balázs Café & Bistro, with the aim of presenting guests with good-looking, scrumptious dishes in an elegant environment. 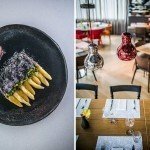 Each item on the menu is prepared from fresh, high-quality ingredients in Café Delion’s state of the art kitchen, and is served on unique plates, crafted by talented Hungarian designers. Their gigantic fried pork chops is one of the best in town, but their juicy hamburger and rich chicken paprikash, garnished with spätzle, goose liver and cucumber, are also top-notch culinary masterpieces. NextGlobal warming: how much hotter is Budapest?